We know your dorm room is where you will be spending a lot of your time. It will be used for studying, relaxing, and entertainment. In all residence halls, each room is furnished with beds, desks, chairs, a closet, and drawer space. Common areas are furnished with sofas, tables and lamps. Washers, dryers, vending machines and cooking areas are provided for student use. To learn more, download the Residence Hall Brochure. Please submit a Housing Application to apply for on-campus residency. 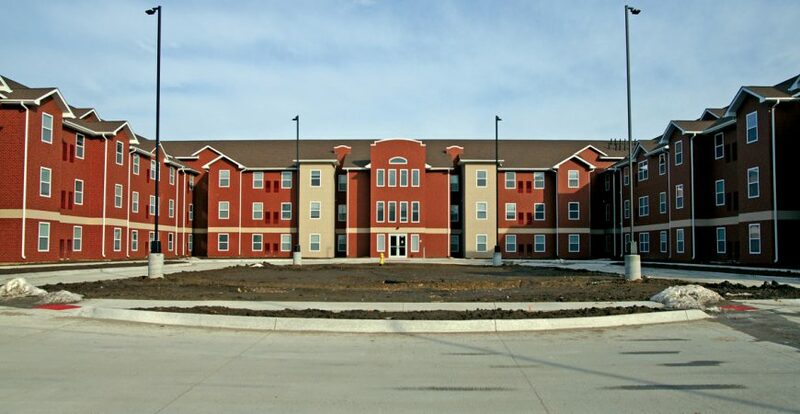 A co-ed hall with 250 climate controlled private living units. Each unit is arranged suite style with a common area and either a private or semi-private bathroom. The dorm was opened in January 2013 for the spring semester. The doors of Twin Towers were open to students in the fall of 2000. 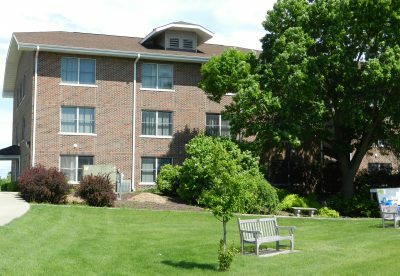 Upperclassmen enjoy a townhouse-like environment with amenities that include: convection/microwave ovens, washers and dryers, refrigerators and oversized closets. The living space is divided into eight townhouses, each designed as a suite with kitchen, two and a half bathrooms, six bedrooms, a living area, and even its own laundry room. The building includes handicapped-accessible rooms, and all the rooms are wired for Internet access. Twin Towers is a smoke-free facility. 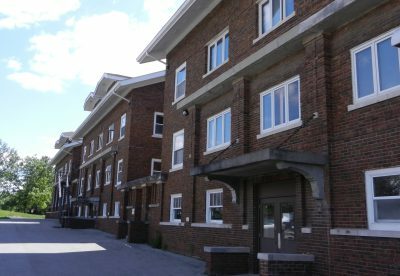 A co-ed dorm, Lewis Hall was constructed during the 1920’s in a modular style where suitemates share a living room and bath with adjoining bedrooms. Residents also enjoy modern amenities like Internet access in our turn-of-the-century dorm. The bathrooms have had vanities added to give residents more storage space for toiletries. Lewis Hall has a beautiful central lounge, called the Green Family Lounge, complete with a grand piano, fireplace and reproductions of old world masterpieces. Lewis Hall has a central laundry facility. 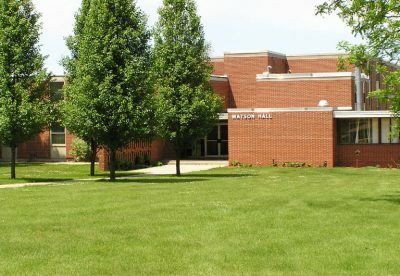 Watson Hall is built in the style of traditional dormitory rooms and is open to men. Rooms open to a central corridor with renovated bathrooms and a lounge on each floor. Watson is handicapped-accessible and has a central laundry facility. Rooms have Internet access. 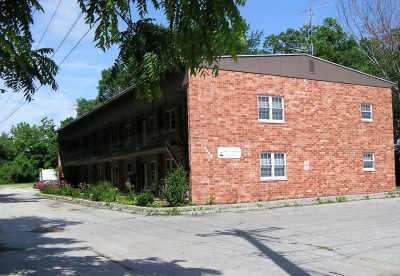 The building is located adjacent to campus and has been acquired for use as married student or single parent housing. One and two bedroom apartments are available and are just a short walk to classrooms, the library and offices. Each apartment has a living area and kitchenette with refrigerator and apartment-size stove. Furniture is not provided for these apartments.